Moero!! Pro Yakyuu '88 - Kettei Ban © 1988 Jaleco Company, Limited. Released on August 10, 1988 in Japan. 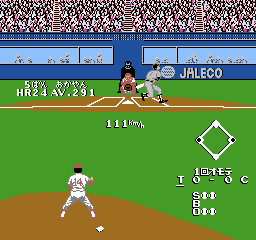 [US] "Bases Loaded II - Second Season [Model NES-L2-USA]"